In our opinion, the best way to spend money is to watch stand-up comedy, LIVE. While many of you may disagree, we’d like to put forth our reasons. A live stand-up is effective, makes you laugh like your head will explode, and the whole experience of watching it live is amusing because to see a stranger standing on the stage cracking joke after joke makes you appreciate (while you’re still laughing) them instantly. But for comedy to come through properly, a nice venue play a vital role; the right kind of setting, sound system, and the vibe. 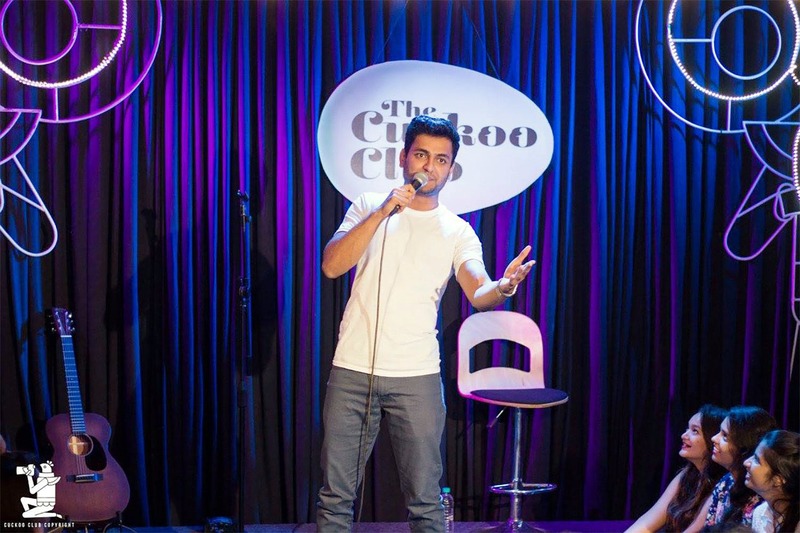 After attending a bunch of stand-up acts, here’s our list of favourite venues in Mumbai to attend live stand-up acts. A mini-theatre with cool vibes, Canvas Laugh Club is the most sought-after venue, both for the comedians and the audience. The whole setting makes it very intimate with the performer. Their schedule boasts of headlining performers, but they also open their stage to open mics every week. We've recently learnt that they're shifting to a new location in the city, so stay tuned to find out where they're headed next! The Habitat, nestled across two floors inside Hotel Unicontinental in Khar, is an experimental venue that is often hosting thematic and other quirky formats for stand-up acts and open mics. Slightly more organised, and spacious, the venue is well lit and a joy to be attending comedy at. Cuckoo Club is a joy to perform at, and even to attend acts at. A rather small, but attractively done up place, the Cuckoo Club can’t get it wrong. The top ceded comedians perform here every single day, and they are also starting to host outstation comedians on every Thursday, so you can enjoy some fresh faces and jokes. Of10, a play on Often, is a creative, design-led co-working space situated in the Hiranandani Gardens in Powai. Open to all sort of unique experiences, they are committed to curate nothing but the best here. And their comedy nights, that keep happening often, are wonderful to attend. This space proves to be better for Improve comedy given the proximity between the performers and the audience, making it easy for everyone to participate. Italian for 'at ease', Adagio wants to take this digital driven life back to the times of analog where we still believed in physical interactions and hearing each other out, While Adagio is primarily a musical venue, they also host stand-up comics - both seasoned and budding - on every Monday at 8 PM. The entry charge is usually a nominal INR 250. Follow them to keep a track of who's performing next!